At Relay Networks, we buy and sell Meraki and maintain a large inventory of quality pre-owned Meraki wifi equipment that can be delivered to our customers promptly. Do you have used Meraki wifi equipment to sell? 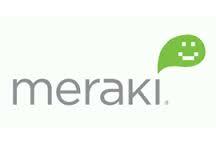 Click here to learn more about selling your Meraki equipment to Relay Networks!